In volunteering terms, Argentina’s most pressing needs differ in comparison with many other developing states. The country does not frequently suffer from the natural disasters that devastate other parts of the world, while the legacy of being one of the world’s wealthiest nations in the early 20th century makes infrastructure upgrade less urgent. Nonetheless, deepening inequality and ineffective social services are long-running problems, and after the economic collapse in 2001 left the country in financial ruin, with soaring unemployment and poverty levels, tensions mounted. While the situation has improved dramatically, a lack of support has left entire communities and minority groups marginalized and unable to break the poverty cycle. 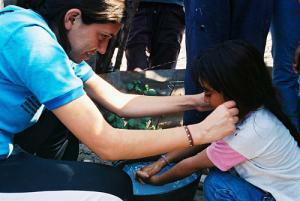 Most voluntary work in Argentina is therefore focused on social development through integration, participation and education. Many non-government organizations place a particular emphasis on supporting disadvantaged children and young adults in reaching their potential, with the hope of promoting sustainable social change and bringing the next generation out of poverty. While the number of ventures seeking volunteers may not reach the same level as in other South American countries, there is still many options in Argentina for the would-be-volunteer. Buenos Aires hosts dozens of enterprises working on a wide range of projects to aid the city’s poorest communities, often targeting a certain area of the capital or wider province. 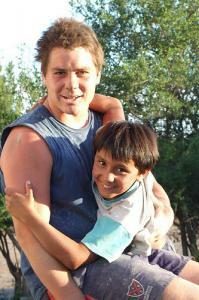 The style of volunteer programs in Argentina can vary significantly. Placement organizations offer highly structured packages for a fee, in which all aspects of the individual’s trip to Argentina (including accommodation, leisure activities and Spanish lessons) are coordinated centrally, and official accreditation is received upon completion. More informal, unassisted offerings of help are also possible, but these are much harder to locate remotely and generally more suited to people already in the country (see ‘seeking alternative options’). Placements are generally less common outside of the capital, though still available, and can offer visitors a vastly different perspective on this diverse country. Volunteers can usually get involved in all aspects of an organization’s operations, from hands-on assistance with feeding and teaching children to more office-based research, depending on the individual’s skills, availability and objectives. Indeed, the relatively weak administrative and institutional capacity of local NGOs continues to weigh on their efficiency, and while less common, some organizations will accommodate interns in a longer-term strategic or promotional role. Bear in mind that this will likely require strict qualifications and significant experience. This page rendered in 0.458 seconds.